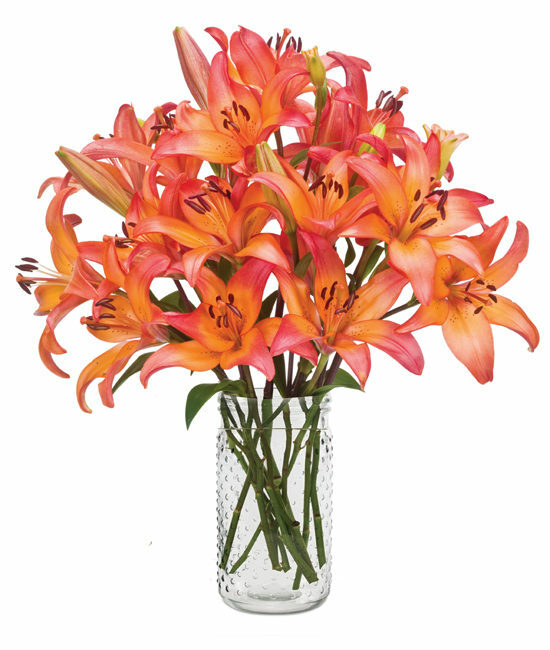 This unique bi-colored variety of lily is called “Sunset,” and it’s no mystery why. As their big blossoms open, petals drenched in fiery orange and red treat your recipient to a striking site only an evening autumn horizon can match. 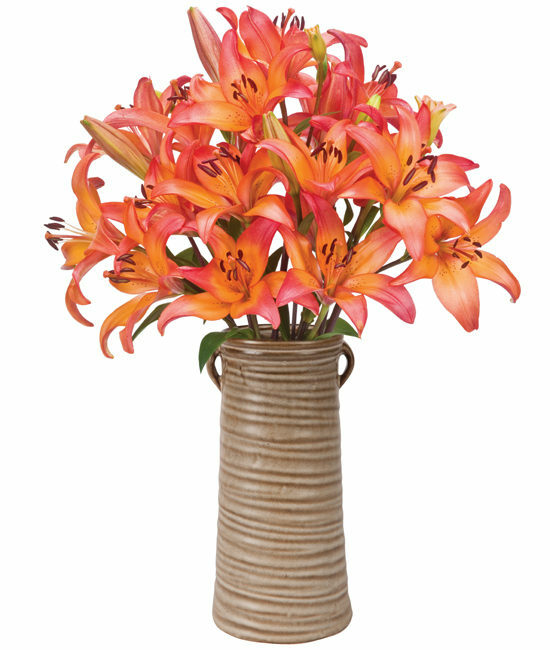 Easy to arrange and blessed with a surprisingly long vase life, eight of these special stems are sent in bud and bloom (each stem laden with 3-5 flowers), paired with our Golden ceramic ribbed vase, 10″ high.